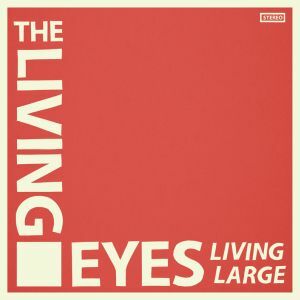 THE LIVING EYES released their sophomore album Living Large at the beginning of 2015, nearly two years after their self-titled debut. The LP comes as a split release between Anti Fade Records in Australia and Agitated Records in the UK. Except for a few scattered 7″ singles and tapes, the Living Eyes kept quiet between both of their full-length albums. This could be a result of frontman Billy Gardner also being a member of Ausmuteants, an act that certainly took off during 2014. Despite sharing time in two bands with growing popularity, that’s still a solid bunch of material to spit out on top of what was already available. In June of 2013 the first true indication of what would follow their debut was released as a 7″ on the one and only Goodbye Boozy Records – a 7″ we here at SD considered to be our overall favorite from that year. Next up (and over a year later) their single on Agitated dropped along with a hunch of what would follow. Anti Fade and Agitated Records were lucky to drop Living Large, an album that completely rips from its wiry beginnings to its pounding finale. “High Standards” starts us with a charging sense of urgency and Gardner already shouting and soaring at the top of his lungs. Scratching chords are woven along with the hummable “ding-dong” guitar hook, tossing you into a ravaging breakdown of destructive proportions. It rattles open furiously like a gaping wound, shoving sharp, angular soloing straight down your throat before coming to a screeching halt. Just off that lone track, their precision is noticeable. “Eat It Up” should again go down as single of the year, but luckily for every other band it’s not a 7″ this time. Guitars kick-start and lock in their invigorating pace from the get-go, rollicking around grooving bass lines and Gardner’s unique howling – his tone provides a distinct mixture of rasp and squeal. The guitars refuse to let up for a full two minutes as they absolutely demand your ears, complete with a crackling solo that brings it all home in one swift motion of perfection. “On Sale” opens with a thick but clean buzz and grows with an extra layer of palpable guitar flare during the chorus. It sits hot and heavy and is complemented by a slew of tight and wiry guitar licks within. “Put It Back” is the album’s shortest entry, creating a sub 2-minute anthem leaning heaviest on punk rock splintered with a touch of pop. The hook has enough thwack to bring your blood to a boil and it’s paired with some fist-in-air chanting that will make your eardrums pop. Album closer “Lighten Up” begins with a bouncy twang, creating a glinting guitar lick that shoots outward like a beam of light. It pushes forward until hitting the records inevitable finale (you may even detect some brass howling in there), almost like the equivalent of lighting a fuse and watching it burn until it reaches the explosive finale. If you’ve been missing out on Living Large, now is your chance to get on board. Listen to the whole album right here, right now. BUY the LP from the source – clear or black vinyl – or on Discogs ! 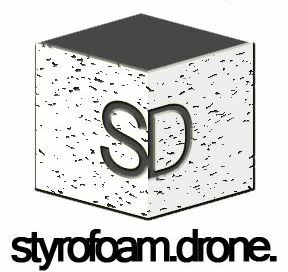 Posted on May 1, 2015 by styrofoamdronePosted in LP, ReviewsTagged Agitated Records, Anti Fade Records, garage rock, Living Large, pop, punk, The Living Eyes. the cover instantly recalls the cover of the Strokes’ excellent, yet somehow underrated fifth album—this is obviously not that polished, but the energy and tunes are still there!